Damascus (AFP) – Demonstrations spread across Syria on Tuesday denouncing Washington’s recognition of Israeli sovereignty over the Golan Heights, in a show of unity in the war-torn country, state media said. US President Donald Trump on Monday signed a proclamation recognising Israeli sovereignty over the strategic border area, seized from Syria in 1967 and then annexed in 1981 in a move not recognised by the international community. Trump’s move immediately drew criticism from the Syrian government, which described it as a “blatant attack” on the country’s sovereignty and territorial integrity. On Tuesday, demonstrators took to the streets across the war-torn country to protest Washington’s decision. They staged rallies in Damascus, the government strongholds of Latakia and Tartous, the northern city of Aleppo, the central city of Homs, Deir Ezzor in the east and the southern cities of Daraa and Quneitra, state news agency SANA said. Syrians also protested in the Kurdish-majority northeastern cities of Qamishli and Hassakeh, it said. Demonstrators carried portraits of President Bashar al-Assad and raised the Syrian and Palestinian flags, in photos carried by SANA. 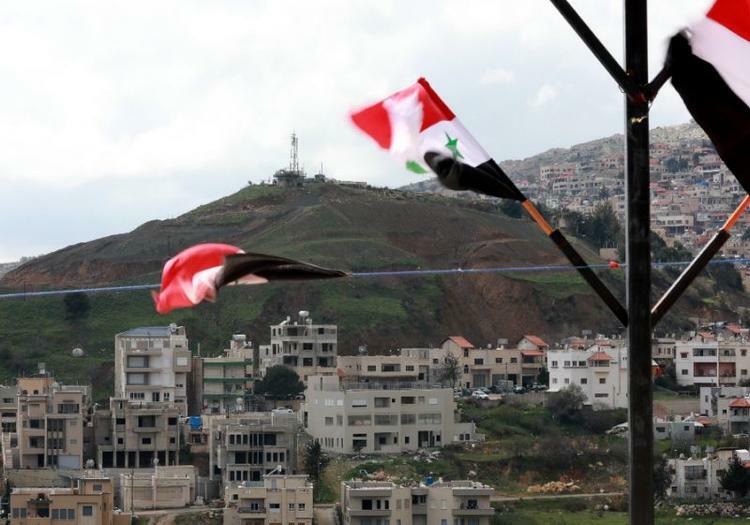 “The blatant US bias toward Israel will not change the Syrian identity of the Golan,” Information Minister Imad Sara told state television during a rally in Damascus. In Aleppo, hundreds gathered in the central Saadallah al-Jabiri square. “We are here to condemn Trump’s Golan decision,” said Mohammad Shaaban, a protester. “The Golan is Arab and Syrian whether they like it or not,” he said. In Damascus, the lawyers’ syndicate gathered at the justice palace to decry the move, pro-regime television showed. “America is now the primary enemy of the Arabs,” a syndicate representative read from a statement. The lawyers’ syndicate in Hama paused court sessions for one hour in protest over the US decision, SANA said. Trump’s Golan decision spurred condemnation from several regional states, including Turkey, Iran, Lebanon and Saudi Arabia. It also drew criticism from the Syrian regime’s ally Russia, which warned of a “new wave” of tensions in the Middle East.